Need a convenient place to store employment contracts or offer letters? Staff docs allow you to save documents directly to a staff member’s profile page. 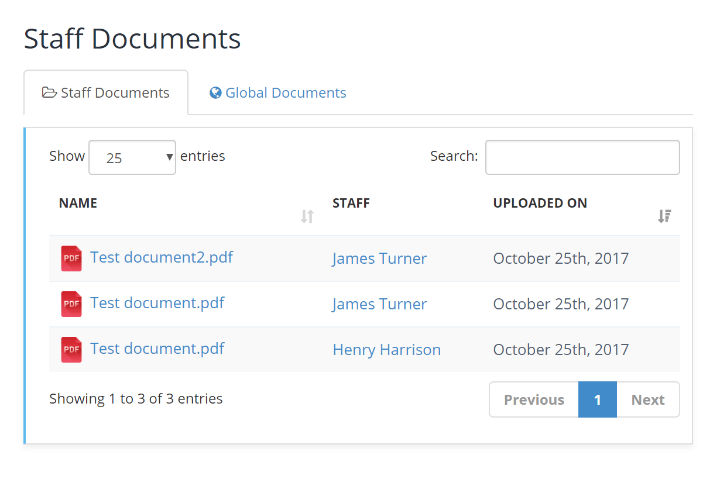 You can also save documents that are applicable to all of your staff members. Just scan it in and upload it to Time To Pet! For those documents that are associated with just one staff member, you can save them directly to the staff member’s profile page. This is perfect for offer letters, employment contracts or reviews! 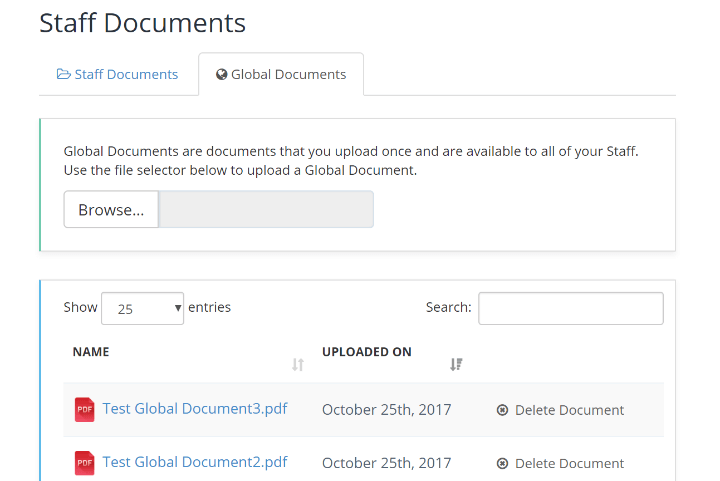 For any document that is applicable to all staff members, you can upload this as a global doc. Global docs are automatically added to each staff member’s profile. Perfect for company announcements, business policies or your employee handbook.